Wear a personalised emblem, which will notify first responders to immediately identify your allergies and/or medical conditions, and treat appropriately. 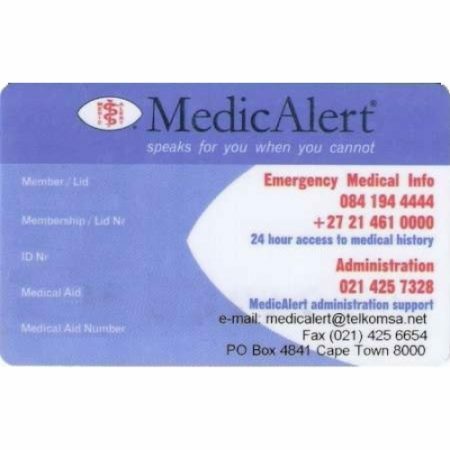 Access to 24-hr Emergency Contact Centre, where medically trained consultants will communicate your vital medical information to emergency responders as required – anytime, anywhere, in any of our 11 official languages. Peace of mind that your next-of-kin can be notified speedily in the event of an unforeseen emergency. One call to our Emergency Contact Centre can access this information, stored on our secure database. Access to 24-hr Emergency Contact Centre Trauma line, medical advice, Crisis counselling, etc.